Officials in Lehigh County are investigating a fatal police-involved shooting on Saturday afternoon, 7/28. 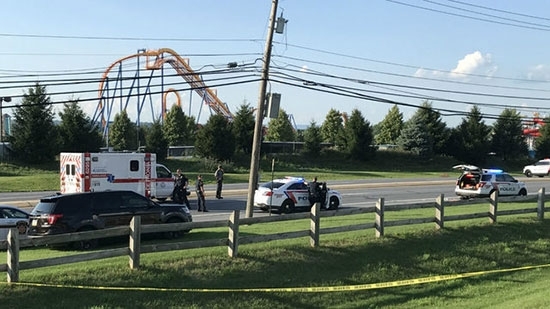 It happened around 5:45 p.m. on the 3700 block of Hamilton Boulevard at the Comfort Inn and Suites near Dorney Park in South Whitehall Township. Police received reports of a man with no shoes walking in the middle of the street and jumping on and damaging vehicles. The man even ripped the window out of one car. Video shot by a bystander shows the suspect walking away from a South Whitehall police cruiser, stop, turn around, and walk back towards the vehicle. Officers could be heard shouting "get on the ground" multiple times before shots were fired. The man was taken to Lehigh Valley Hospital-Cedar Crest and was later pronounced dead. The identifications of the suspect and the officer involved have not been released. The investigation is ongoing. See video of the incident below. UPDATE: The man has been identified as 44-year-old Joseph Santos of Hasbrouck Heights, New Jersey. 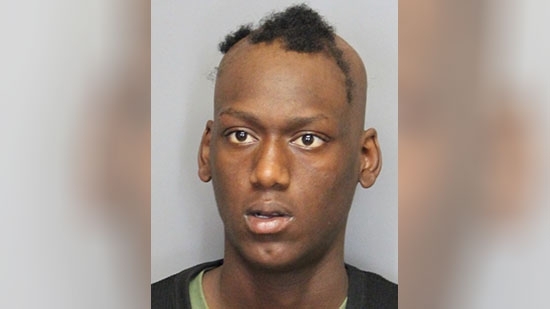 Delaware State Police are searching for a 17-year-old that escaped from a juvenile detention facility in Wilmington on Saturday morning, 7/28. It happened around 8:45 a.m. at the Mowlds Cottage juvenile facility located at 1825 Faulkland Road. Shamar Wright of Wilmington escaped on foot while he was being escorted from one building to another. He was last seen fleeing towards Route 141. Wright is described as a 5-foot-5 black teen who weighs nearly 100 pounds. If you have any information regarding Wright's whereabouts contact Detective J. Hatchell of the Troop 2 Youth Aid Division at (302) 365-8583 or call 911. Two Philadelphia Police officers were assaulted by a suspect who then stole their cruiser in West Philadelphia on Saturday evening, 7/28. It happened after 9:15 p.m. on the 5500 block of Poplar Street. The two 19th district officers had made a pedestrian stop. The man they were questioning attacked the officers and took off down Poplar in their car. The suspect left the car at Ithan and Media Streets. The same suspect then broke into a home on the 1400 block of 56th street. However, the resident was able to fight off the suspect and call police. The suspect was arrested. He has not been identified, but apparently is a murder suspect. The two officers were taken to Penn Presbyterian Medical Center and are in stable condition.